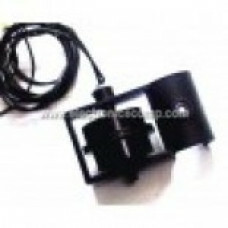 A float sensor or a float switch is a sensor used to detect the level of liquid (water) in a tank. Normally the purpose of a float switch is to open or close a circuit as the level of a liquid rises or falls. Our float sensor has a magnet on the float (the moving part) and a reed switch on the stem (fixed part). So when the magnet comes near the reed switch the reed switch is activated and the circuit becomes closed.